Is your dog suffering from a constant, unsettling, dry hacking cough? Does he show signs of lethargy and a poor appetite? Is he experiencing nasal discharge and watery eyes? If yes, then your dog is under high risks of suffering from kennel cough. Canine infectious tracheobronchitis is an upper respiratory infection commonly known as Kennel cough or Canine cough. This highly contagious infection affects the dogs and is caused by both bacteria and virus. While the bacterium Bordetella bronchiseptica is believed to to be found in 78.7% of cases especially in Southern Germany, Canine parainfluenza virus is responsible for 37.7% cases and to some lesser extent Canine Coronavirus causes 9.8% of the infection. It’s a highly communicable and uncomfortable disease spreads quickly among dogs that come in close quarters like a kennel, dog parks, Pet habitat or animal shelter. If the infection is caused by the Bordetella Bronchiseptica bacteria then the symptoms of high fever, coughing can normally be seen for 10 days. Nevertheless, the pooch continues to shed the disease for almost 14 weeks. If caused by the virus, the dog’s immune system is affected and it harms the respiratory tract, the windpipe and the larynx. However, in many cases the dog acts like a carrier of the disease but shows no symptoms whatsoever. They spread the infection as soon as they come under close contact with a fellow dog. Kennel cough is an airborne disease. Actions like coughing, sneezing, barking and shedding causes thousands of microscopic bacteria and virus to contaminate the air. The bacteria can dwell in the environment and infect the air for almost 2 weeks. Once they are inhaled by another host, they immediately begin to attack and create trouble within the upper respiratory tract. Close contact with corrupt objects. Drinking from the same water dish as that of the infected dog’s. Licking or playing with the same objects as that of the infected dog’s e.g. toys, sticks. Sniffing butts, licking any body part of the infected pooch or simply breathing the same air as that of the infected dog’s can cause Kennel cough. Animal shelters, dog daycare, dog grooming salons are places at higher risk of becoming the manufacturing units of Bacteria and virus causing Kennel cough. These places should be well kept and extra measures should be taken to protect their parlours and facilities from transmitting the virus. The bacteria (Bordetella) can survive up to 48 hours on solid surface and act immediately to continue the vicious circle of causing infection. WHAT IS THE REMEDY FOR KENNEL COUGH? First and foremost, consult your Vet and seek for medical advice if your dog’s health deteriorates. With the help of blood tests and using bacterial cultures the doctor will diagnose your beloved pet for any symptoms of Kennel cough. X-ray tests of the lungs, trachea may be taken for future reference. Antibiotics are prescribed for the bacterial infection but because Kennel cough is a dual disease which could happen due to either bacteria or virus, antibiotics don’t fully solve the purpose as they can’t control the viruses. Cough suppressant tonics are given to curb the coughing situation. Although some vets suggest that it’s better to keep the dogs off of cough suppressants as they weaken the immunity and should only be given under adverse circumstances. Prevention is better than cure, therefore by vaccinating your canine friend is recommended. Stacey Hershman, DVM at Hasting-on-Hudson NY suggests that vaccination for Bordetella should only be given once a year. She personally recommends the intranasal vaccine as it’s more effective and causes no side effects. Keep his cage, kennel and surroundings clean and disinfected. The vets usually treat tracheobronchitis like the physicians would treat common cold. The dogs are kept under close observation and care while they let the disease shed and run its course. The most commonly prescribed medicines are Baytil, Doxycycline and Clavamox. It could be a tracheal irritation due to pulling on the leash for too long. Dogs that have heartworm infestations or suffer from any kind of heart disease often cough after a nice exercise. If your dog is suffering from any disease related to the larynx or esophagus can cause your dog to cough. It could be due to allergic reactions from pollen grains, dust, pollution etc. Kennel cough can be aggravated if it’s not looked after and can cause your dog utter pain and discomfort. As a responsible owner you should visit your nearest Vet and get your pooch regular checkups. 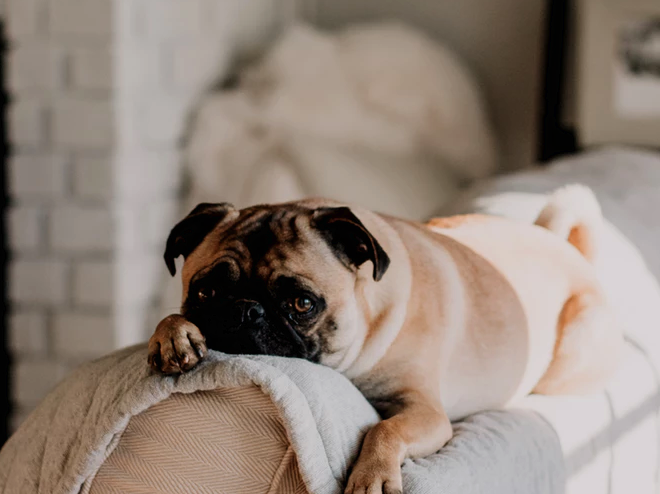 We often neglect our pets and leave them on their own whereas they too suffer from diseases like cough and cold which if not looked after can cause damaging circumstances.